There have been six ceasefire violations in the past three days and a total 17 along the LoC and the international border in Jammu region since June 1. Jammu: An army jawan was killed on Friday as Pakistan violated ceasefire by firing on forward posts along the Line of Control (LoC) in Rajouri district of Jammu and Kashmir. There have been six ceasefire violations in the past three days and a total 17 along the LoC and the international border in Jammu since June 1 in which one civilian was killed and seven others were injured. 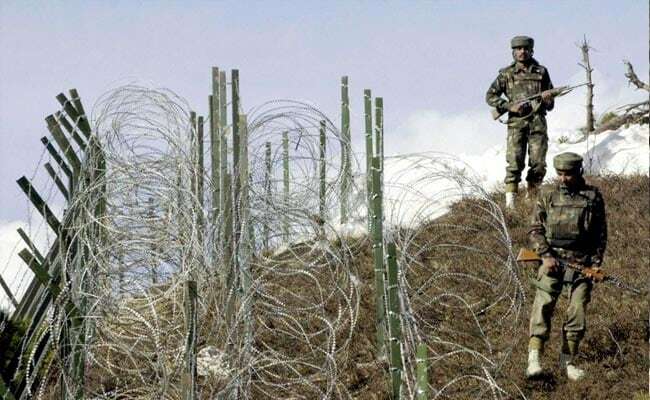 "The Pakistan Army initiated unprovoked firing on Indian Army posts in the Naoshera sector along the LoC in Rajouri district around 0515 hours today," a defence spokesman said. Indian troops returned the fire strongly and effectively. Naik Bakhtawar Singh was injured in the exchange of fire. He succumbed to his wounds while being evacuated to the military hospital, he said. Mr Singh (34), belonged to Hajipur village in Punjab's Hoshiarpur district. He is survived by his wife Jasbir Kaur and three children, including a 10-month-old boy. The wreath laying ceremony will be held today at Rajouri and the soldier's mortal remains will then be taken to his village where he will be cremated with full military honours, the spokesman said. "Singh was a brave and sincere soldier. He loved his job to the core. The nation will always remain indebted to him for the supreme sacrifice and devotion to duty," he said. Pakistan breached the truce twice overnight in the Naushera sector. Two Pakistani soldiers were on Wednesday killed in retaliatory fire after they breached the truce, targeting forward posts and civilians areas along the LoC in Rajouri and Poonch districts. There were 3 ceasefire violations by Pakistan on June 12, One on June 13, four on June 11 and one on June 10.